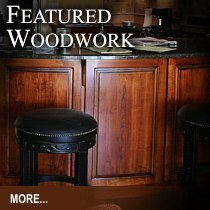 We offer some of the finest... hand-crafted woodwork for all residential needs. Bedrooms, baths, dining rooms, kitchens, pantries, living rooms, dens and much more. We design and construct any styles of home furnishings and woodwork. 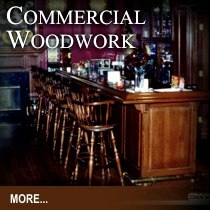 The market for commercial woodwork has never been more exciting, We at Custom Woodworks have provided some of the top businesses in Nashville and around the southeast with the finest woodworking designs in the industry today. We have a saying at Custom Woodworks, "If it can be made out of wood, let's build your ideas." And that stands for all of the work we do. 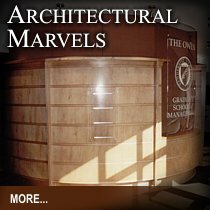 We've created many state-of-the-art wood working marvels that have been recognized by many in our industry. We have a vast network of clients and we appreciate them very much. To show our appreciation we have started featuring some of the work we've done for these folks. We hope you enjoy..